On Friday I found out I was invited to attend Derby Day at the Santa Anita Race track here in So Cal this Saturday in honor of the 140th "Greatest Two Minutes In Sports". I've never even been to a track and the only horse race I've seen was in the movie 'Secretariat' (which I love by the way), so I was overjoyed when I got the invitation. Immediately thoughts of hitting it big by choosing the right horse filled my mind. I mean, who doesn't want to bet on a winner? I don't really gamble (unless we're talking about shoes) so it will be very hard for me to part with my money but I'm excited to fully experience all the day has to offer. I'm a sucker for a fabulous day dress as I love how simple they are to throw on and dress up or down depending on my mood and the occasion. The shift dress is one of my favorites as they are generally flattering to most body types and have come such a long way since the big boxy styles of the late 60's. With tons of fun prints, colors, hem's and back's the shift has become has worked it's way toward the top of my must have dress list for the spring/summer seasons. It's a great way to add bold prints to your look and try out a hue that you've been eyeing. It also makes me happy I can wear it to brunch without worrying about the post brunch food baby I'm usually carrying. There is just something about a shift dress that makes me smile. They're the perfect look for almost any event (graduations, bridal showers, brunches etc) And because I'm always on the hunt for the next big thing here are a few of my favorites right now. *I was not paid for this post though I did receive products to try. All thoughts, opinions and experiences are my own. I've said before how important skincare is to me and I have no problem switching up my routine as the seasons change as well as trying new products as I am introduced to them. In fact, I am somewhat of a product junkie. But that usually goes for my face and not my body. The one thing that has been a constant in my bathroom is the presence of Dove. I am a Dove girl tried and true. It's one of those products I started using as a kid and because I never had a reaction (hello sensitive skin) and it's always treated me well, so I stuck with it. It's no secret that I have a major sweet tooth and I've been known to throw down some cupcakes at the drop of a hat. Baking is one of the things Sweet Pea and I love to do to stay connected and the way our family loves cupcakes, you can often find us in the kitchen poring over new recipes! 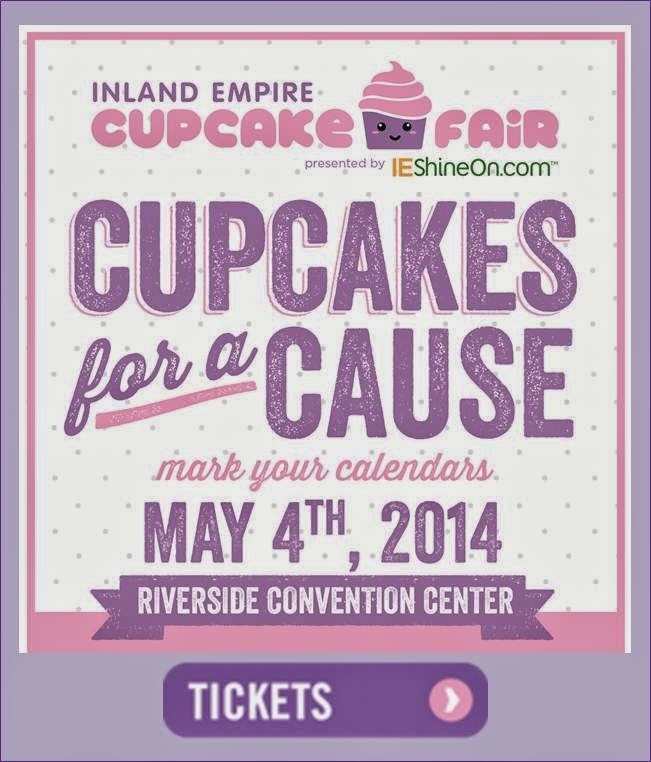 I'm happy to share that I'll be attending this year's Inland Empire Cupcake Fair Sunday May 4th! Whoo hoo! Below you'll find a recipe from one of this year's judges, Sara DeLeeuw of My Imperfect Kitchen which sounds amazing and I can't wait to try it and possibly test it out on my own family! And guess what? You could go too!!! That's right, the lovely hosts are authorizing me to giveaway tickets to the event! Who doesn't love cupcakes and want a reason to taste as many as possible? One winner will receive two general admission tickets which will be waiting for you at Will-Call! Go ahead and enter using the Rafflecopter below. You KNOW you want to! A few weeks ago a friend of mine sent me a photo with the caption "you wanna do this?" 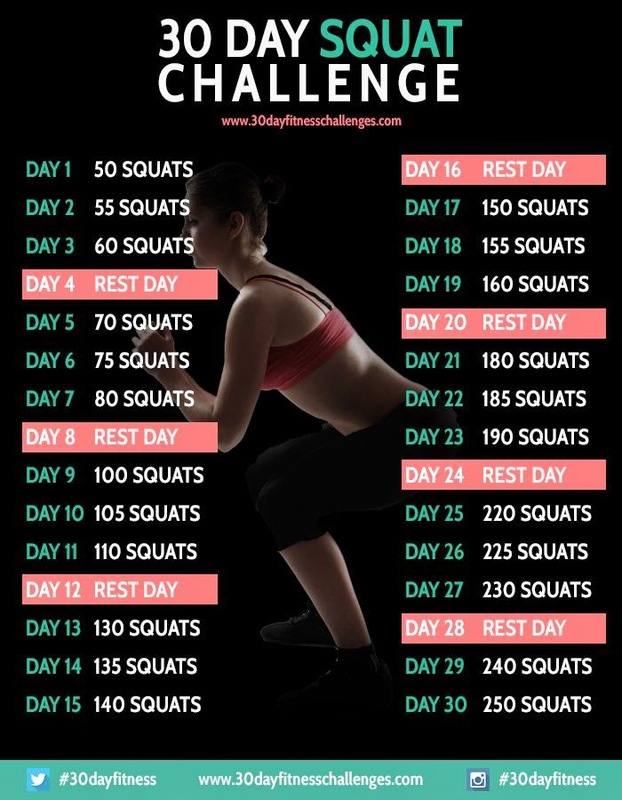 and the image was for a 30 day squat challenge. We follow each other on Pinterest so she sees I'm pinning things to my Work It Out board (even if I'm not actively doing them) and knows how I'm obsessed with getting a Beyonce booty so it made total sense she would send it to me. My initial reaction was "Oh HELL no!! I have no desire to do that!" And then I looked at the cupcake in my hand (my fourth one that day) and realized, if I keep eating like this my shorts aren't going to fit. Forget about getting in a bathing suit. And y'all know I love me some bathing suits! So pushing all negative sarcasm aside I agreed to begin April 1st. Makes sense we would start a challenge like this on April Fool's Day no? Had to be some kind of sick joke to agree to eventually get up to 250 squats in one day in the span of 30 days. Flowers are blooming, sun is shining, weather is warming up and it's officially spring! That means it's time to bare those stems that have been hiding under long pants all winter! I for one am thrilled that it's finally time for "suns out, legs out" weather. I love the warmer weather and am quick to show off my gams with a skirt or shorts. In the last few years my love of shorts has grown greatly but my love of skirts will never be abated. Whew, it has been a week y'all. I am SUPER jazzed it's the weekend and we don't have anything major on the agenda. At least nothting that I remember. I think I may try and squeeze in a trip to the barre on Saturday because torturing myself doing this 30 day challenge just isn't enough. I've finally gotten my cooking mojo back and dinner has been pretty good as of late. I scored some grass fed organic ground beef at the farmer's market on Wednesday and I kind of want the husband to grill out one day this weekend. Wednesday trips to the market are quickly becoming my new favorite thing. 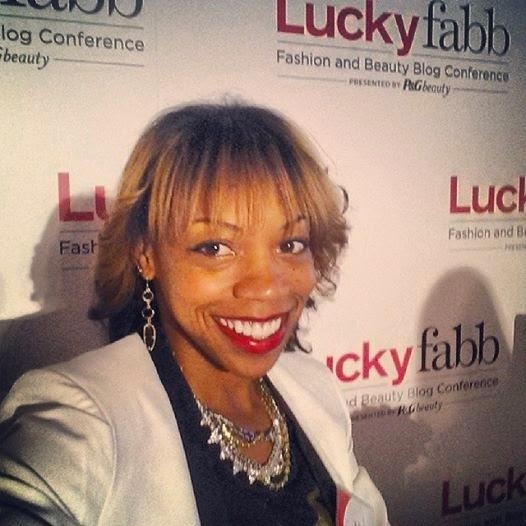 This week was all about LuckyFABB and what I wore (Day 1 and Day 2). I had a blast catching up with my girls, falling more in love with Nicole Richie and drooling over all the fab shoes. I still need to go through my swag bag and take stock!